Two years ago comedian Jordan Peele released his directorial debut Get Out, a disturbing horror subtly satirising liberal racism. The low budget indie was a huge hit with both the critics and the box office, before being nominated for four Oscars the year after – with Peele winning Best Original Screenplay. Now the director is back with a brand new psychological horror, one that’s just as meticulously crafted as its predecessor. Us stars Black Panther and Star Wars actress Lupita Nyong’o as Adelaide Wilson, who goes on holiday to Santa Cruz with her husband Gabe (Winston Duke) and their two children Jason and Zora (Evan Alex and Shahadi Wright Joseph). However, everything soon turns creepy when a family appear outside their beach house one night in red boiler suits, holding pairs of scissors. But this isn’t just any family, it’s them – their unhinged doppelgängers – who have an unexplained and malicious intent on murdering their other-selves. Just who are they and what do they really want from the Wilson family? Well, to go into such details would spoil the film’s twists, turns and ultimate mystery. But what can be said is that Lupita steals the show. Her performance as her other-self Red – as seen in the freaky Us posters – is genuinely the most terrifying aspect of the movie. From her croaky gasping voice to her unblinking stare, this chaotic character is the stuff of nightmares. One that is perfectly juxtaposed with Adelaide’s matriarchal stoicism, and could well attract attention come awards season next year. But aside from the thrilling timing and visuals, both horrific and comical, Us was ever so slightly let down by teasing the big reveals too early. What makes a horror film so scary is the fear of the unknown. As soon as you have an inkling of explanation and motive, the terror quickly melts away, as it all becomes quite easy to put two-and-two together and work out the twists well ahead of time. 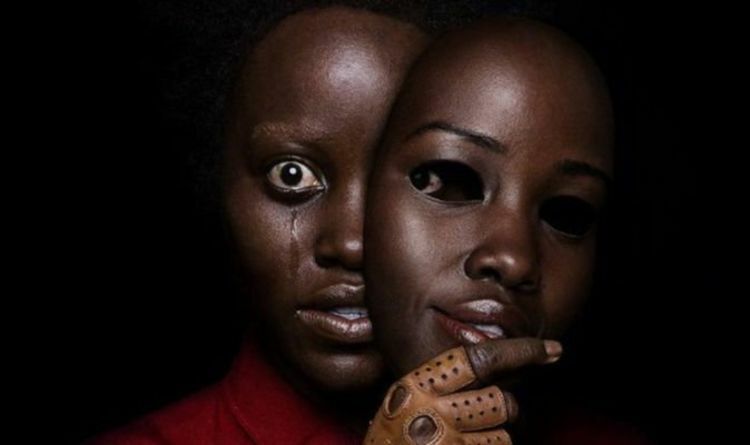 Nevertheless, beneath the bloody horror and entertaining action, Us has an intelligent and thoughtful subtext just like Get Out, one that proves the film’s anything but a trashy gore-fest. Not so much from the race angle this time, but in recent interviews, Peele has spoken of how Us evokes our fear of unwanted attention and how our greatest enemy can really just be ourselves. These themes, especially the last one, take you along one path before making you second guess yourself, leaving you ever pondering and reflective well after the credits have rolled. Peele’s next project is rebooting The Twilight Zone next month, and if Us is anything to go by, fans are in for a treat. Us is released in UK cinemas on Friday.